Knowledgeable manufacturers realize half their sales are likely overseas and foreign market share means long term security. They also recognize that strategic partners, key customers and local marketing are essential to success. For thirty years Muir Marketing Solutions International (MMS) has helped diverse manufacturers overseas and in America reach their goals. You won’t see stock photos on this site. They have been there, done that – and they can do it for you! To ensure foreign market success Muir integrates its custom services into your existing team or provides full service representation. Typically, this includes some combination of research, direct sales, public relations, advertising, web marketing and strategic partnering. The letters AD in www.muirad.com could also stand for “anaeroic digesting”. 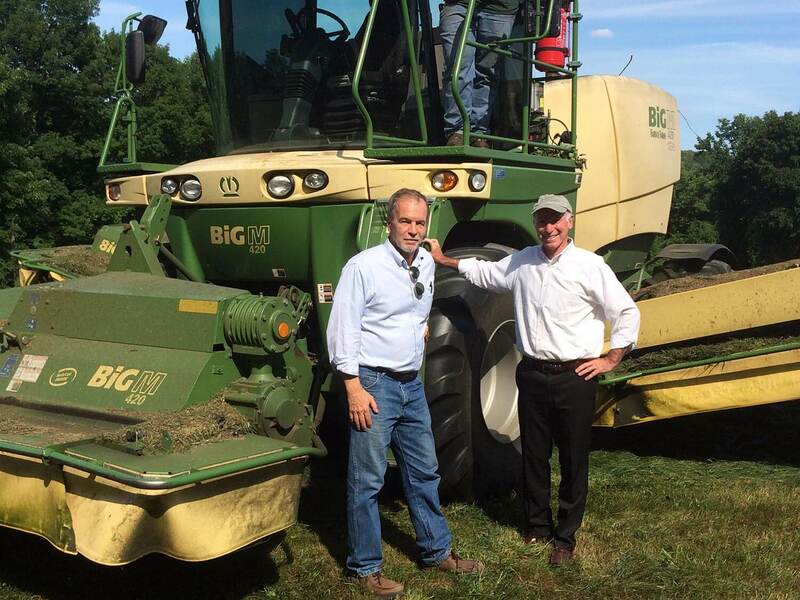 MMS has now promoted American biogas technology (anaerobic digesting) to farmers and developers in Romania, Poland, Turkey, Moldova, Sweden, Greece, Belarus, Cyprus, Ukraine, Russia, China, Saudi Arabia and elsewhere. 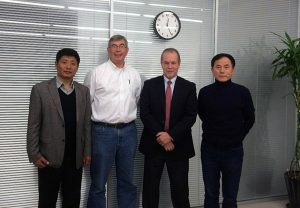 Photo left is Jim Muir with the President of RCM Digesters (USA) and that company’s new Chinese agents in their Beijing office. Before they were absorbed by another company Muir functioned as RCM’s “Director of Business Development – Eurasia”. 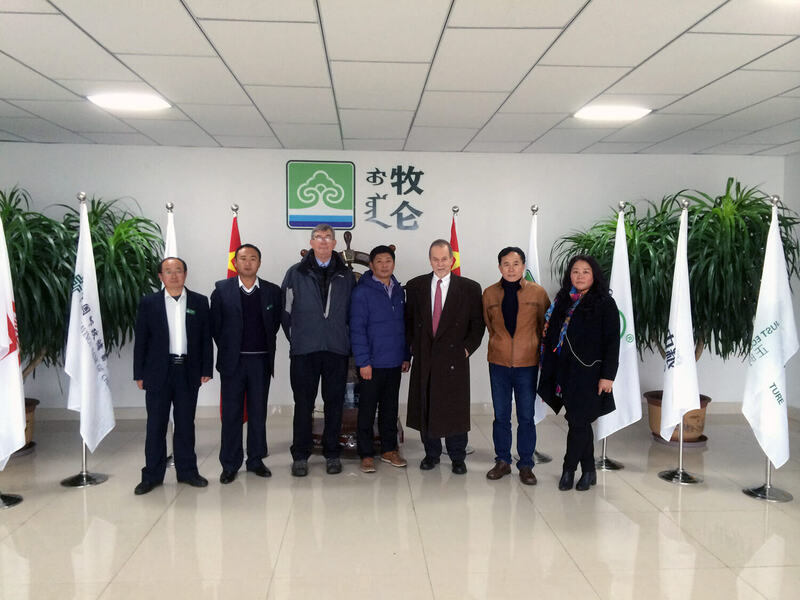 Duties included identifying a Chinese partner and negotiating an exclusive representation agreement. 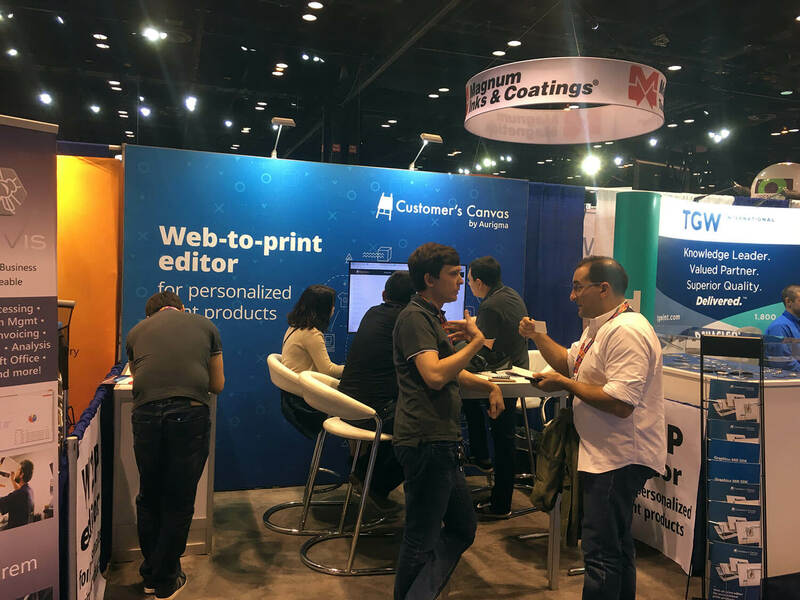 MMS personally assists Siberian software developers (left) to maximize response at a major print industry exhibition in Chicago. Aurigma’s “web to print” technology is used by print, packaging and other industries to streamline and personalize workflow. Muir serves as Aurigma’s “Marketing Director” conducting market research, “Americanizing” websites, handling public relations, placing media and supporting trade exhibition appearances. These services are carefully integrated with Aurigma’s American and Russian in house teams. 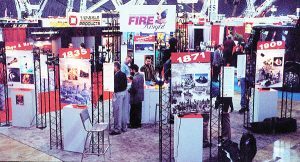 To the left is the American style, open trade booth created for French safety helmet company, CGF/Gallet. Design concept is a mini museum which positions their European, brimless style helmet as the natural evolution of fire protection. MMS has acted as the full service American “Advertising and Public Relations Agency” for safety equipment manufacturers from Sweden, Denmark, France and Switzerland. 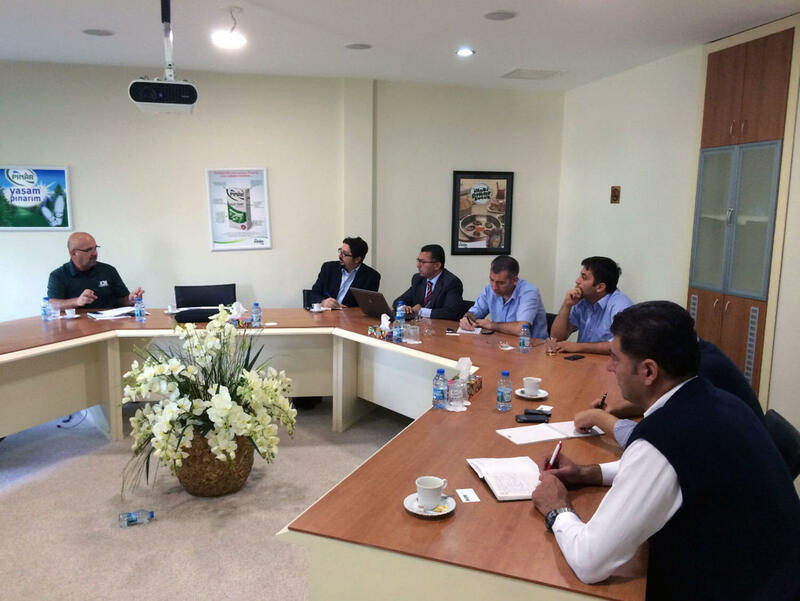 They have also contributed project work to safety companies based in Austria, England, Finland and the Netherlands. For more than thirty years MMS has assisted midsize B2B companies based in Europe and Asia, to grow in the American market. Work for U.S. companies has included clients in the following categories; alternative energy, safety equipment, business and security software, hotel and travel, printing and labeling, luxury auto, fitness and real estate among others. 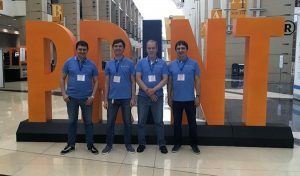 Muir Marketing’s ability to speak conversational Russian, puts them in ideal position to assist business development between America and Ukraine, Georgia, Moldova, Russia and the other former Soviet Republics. В компании Muir Marketing владеют разговорным русским языком, что дает им идеальную возможность для содействия в расширении делового сотрудничества между Америкой и Украиной, Грузией, Молдовой, Россией и другими бывшими советскими республиками. A region of growing business importance. Cultural differences are significant so relationships of trust are critical, just as they are with the Russian speaking countries. The good news is that Asians are just as interested in doing business with the USA as Americans are with them. For over thirty years we have assisted midsize manufacturers in America and overseas to increase their success internationally. Typically we provide research, direct sales, public relations, advertising and strategic partnering.